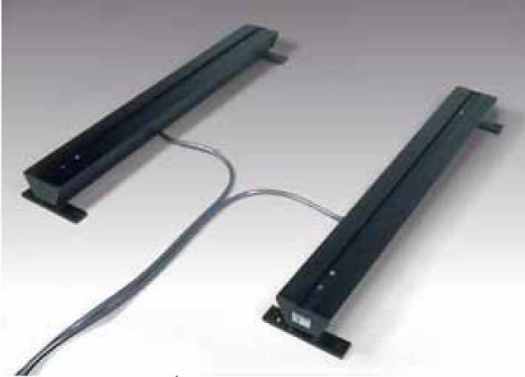 Pair of sturdy and versatile modular weighing bars, easy to fit under any type of weighing structure. These are suitable for weighing rigid structures (hoppers, conveyor belts, roller units, tanks, crates, etc.). 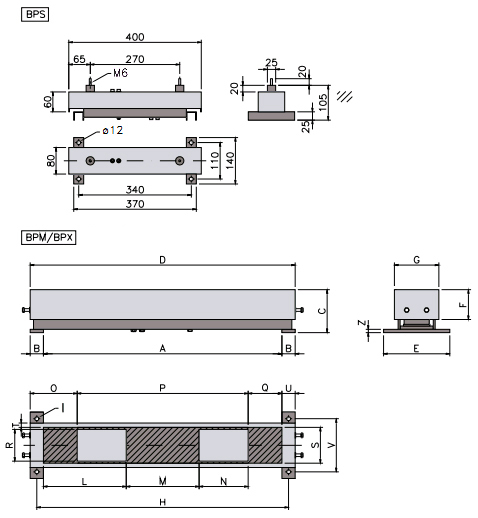 Functions with 4 IP68 STAINLESS steel shear-beam approved load cells (BPL) and with 2 aluminium off-center approved load cells (BPS-BPM-BPX), made according to OIML R60 standards with protection against dust and moisture according to IP65 standards (350 Ohm input resistance). The STAINLESS STEEL model has the structure, mechanics, and trinkets in AISI304 and the load cells are treated with an anticorrosion treatment.